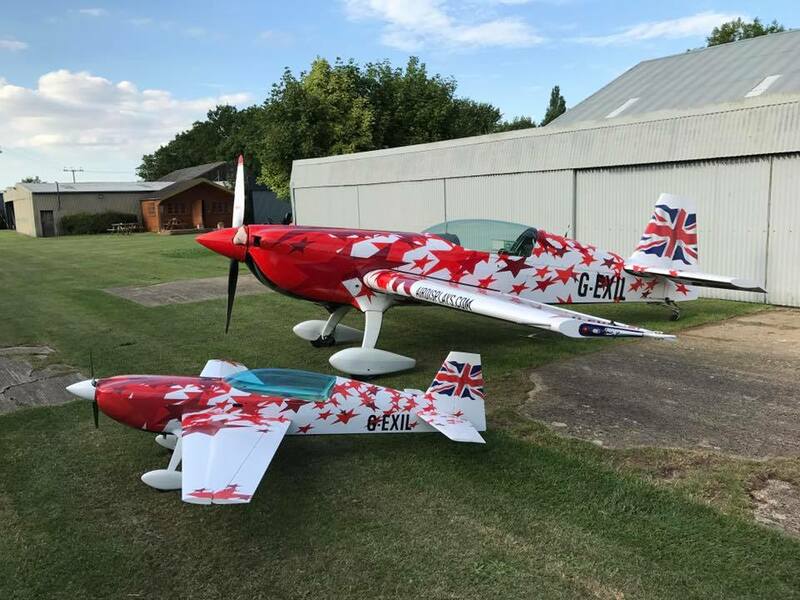 The full size Global Stars airplane has a base wrap with layered vinyl cut stars. Whereas we printed the model graphics on our large format latex printer. Chris (Pilot) and Mike (remote control) do shows together with the model replicating maneuvers of full size airplane using perspective to appear they are flying together…very clever!